Adam and Drew open the show with Drew inquiring about a strange buckslip that he discovered in the studio. Adam then tells Drew about his time last week traveling to Monterey to do some shooting with Jay Leno for his car show. 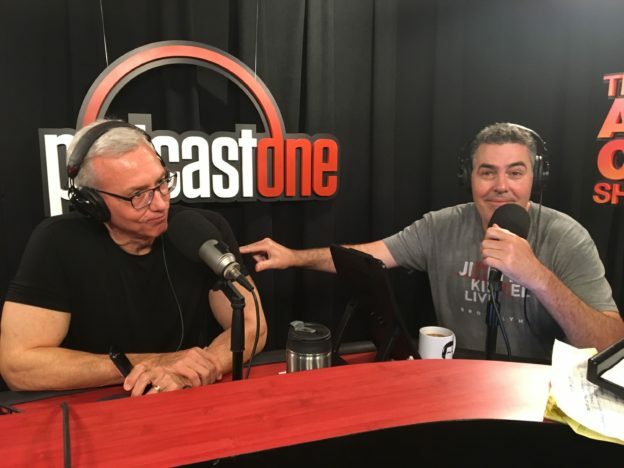 Adam then brings his son Sonny into the studio to ask him a question about whom he would like to have over to a hypothetical dinner at his house. They also discuss a recent appearance by David Alan Grier on Jimmy Kimmel Live. This entry was posted in Podcast on August 6, 2017 by Chris Laxamana.